Имате въпрос към Ahuja Residency Golf Links? Удобно проектиран като за бизнесмени така и за почиващи туристи, Ahuja Residency Golf Links е идеално разположен в Централен Делхи - една от най-посещаваните части на града. Центърът на града е на около 6.5 km, а до летището може да се стигне до 30 минути. С удобното си местоположение хотелът предлага лесен достъп до всички градски забележителности, които задължително трябва да се видят. Възползвайте се от богатството на ненадминатите услуги и удобства в Ню Делхи и НГР. Докато са отседнали в този чудесен хотел, гостите могат да се насладят на безплатен WiFi достъп във всички стаи, съхраняване на багаж, Wi-Fi връзка в общите части, паркинг, рум-сървиз. Хотелът се характеризира с 11 стилно обзаведени стаи за гости, в някои от които ще намерите телевизор с плосък екран, достъп до интернет (безжичен), безжичен интернет достъп (безплатен), стаи за непушачи, климатик. Освен това в хотела можете да се възползвате от множество предложения за приятно прекарване на свободното време. Ahuja Residency Golf Links е идеално място за туристи, търсещи чар, комфорт и удобство в Ню Делхи и НГР. The property does not allow check-in for guest with local ID. Location is in golf links where high class individual houses are gathering. Very quite place can be obtained. We stayed for one night and thought it was was a wonderful place. We thought the location, the building, the rooms, the service and the food were all excellent. Poor mattress quality and lack of staff at check out. The security guard checked us out and they rate as a 4 star property. Ridiculous !! The location of the hotel is lovely (though difficult to find) but the place is quite shabby, and doesn’t look as sharp as the photos would suggest. My first morning there was no hot water, and the second the morning, the switch for the tap to the shower wouldn’t work. I’m also pretty sure I was offered a room with city views and a balcony, but received neither. That said, it’s a comfortable hotel, and I’d use it if my usual first choice in Delhi was unable to accommodate. An excellent place to stay. Value for money, close to many sites and within walking distance to Khan market. This hotel is excellent value for money. 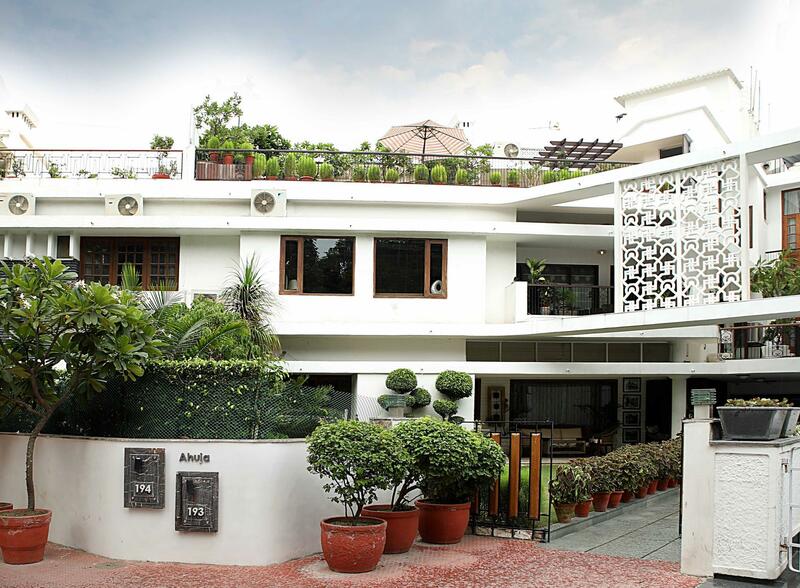 Its location is prefect for many of the sites and is within walking distance of Khan market. I would certainly recommend it and stay there again. No lift. Basically a boutique hotel which is a bit overpriced for the facilities as there is no lift. Breakfast is reasonably ok.
Great value. So much nicer than any Delhi 4-5 star hotel. Rooms fully equipped and functional. Fantastic service, professional and non-invasive. And...reliable & honest - often rare commodities in India. Situated in a pretty, peaceful and cleaner part of New Delhi. Close to Lodhi gardens & other interesting attractions if desired. 40 min to airport - transfer very affordable & professional. Ahuja is particularley good for discerning business travellers, without the sterility and nonsense of a big hotel. It's also great for mid-high range tourists using Delhi as an oasis between (at times arduous) tours & destinations. At the end of the day, it's always the people that make the difference. There's a personable warmth here. And you will sleep and eat well. Worth every cent. (1) walking distance to Khan market (and the station) (2) main entrances close after 11 pm, and only one entrance left for you (or your taxi) to enter the neighborhood. Make sure to take a cab after 11 pm to enter Golf links cuz the road near the only opened entrance is quite dark & dangerous. (3) Breakfast w/ few choices. (4) Front desk in the day-time is willing to help and fix your problem. No receptionist in the evening time so look for the guard w/ limited English proficiency to take car of your concerns. (5) Goof for family with kids but not for solo or couple travelers. Property is beautiful, very warm and homely feel . Sadly room no 4 air conditioner was making lot of noise in the night . Sleep was disturbed . Great guest house in a very quiet and green surroundings. Very courteous and helpful staff. I was very happy with my stay here. Simple hotel in the centre of New Delhi, Staying there was nice, I enjoyed the breakfast, good internet and the relaxing start of the day in a busy city. The hotel is centrally located making it easily accessible to most of the landmarks. The staff are extremely helpful and willing to solve all your issues, be it more hot water or packed breakfast for an early sightseeing trip. 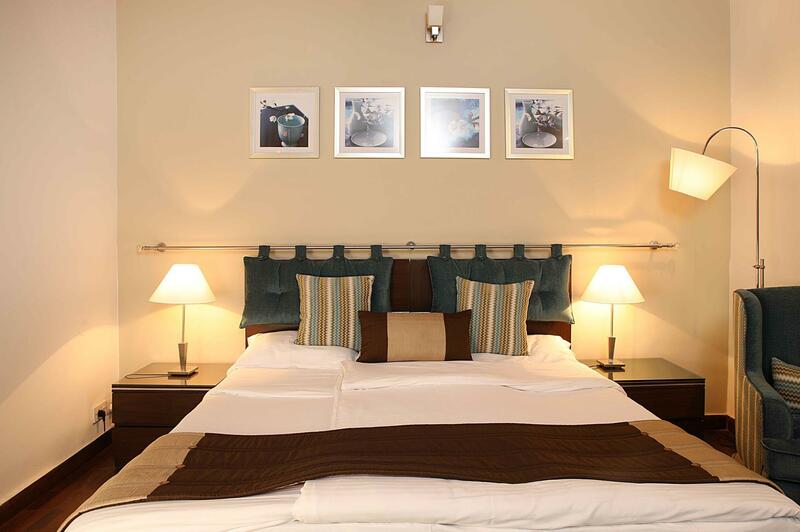 The rooms are clean and ideal for two adults, but can accommodate three at a stretch. Excellent, rooms are newly refurbished and far superior to other so called five star hotels in the neighbourhood. I was in The Ashok prior to this. Would have stayed here instead had I known the rooms were so nice! No barking dogs, No touts at the door, No litter, No noise. Even the most ardent Indian traveller comes to the point were its all a bit much and some respite is needed. Ahuja Residency provides that in full measure. Its quiet, there is no traffic noise, no dogs barking through the night. Its clean, the streets are spotless. You will not be assailed by touts and auto drivers the minute you step outside. Actually its a bit surreal considering its location in Delhi but its also bliss. Some days I just relaxed on the terrace till well past lunchtime not inclined to move at all. The stay was very comfortable. The staff extremely helpful and courteous. However, we find many 3 star hotels providing similar facilities for better value for money. Ahuja may do well by revising their prices to make their offering more competitive. The stay was overall pleasant. The location is very nice and green and quite, 10 minute walk to the metro station but between 2200 and 0600 the relevant gate is closed so you have to climb it (very high and impossible with luggage) or walk another 15 min if you take the right direction. They give the name of the gate that is empty but not the direction. if you face the gate from the outside walk left. If you walk right it will take you 3/4 of an hour to reach the open gate. If you can live with the curfew you will find a small boutique hotel which is siutated in a quite, secluded and safe haven in the bustling city of Delhi. Отседнахме 7 вечер/и в април 2014 г.
Les Tuk Tuks ont du mal à le trouver !